Leaky basements are not only annoying but can also be a health hazard. Having a leaky basement in Toronto is quite common, especially in winter with all the ice and snow melt. You want to dry up your basement, so you can make good use of the space but to also avoid getting mold and mildew. The good news is that it’s not too difficult to fix many leaky basements and create flooding protection with just a few simple solutions. Taking the following preventative measures can help you avoid a wet basement in your Toronto area home. If you aren’t sure if your flooding problem is coming from the outside or the inside you can call your Toronto plumber to help you figure out the issue. There are both inside and outside solutions to provide you with flooding protection. Get gutters installed if you don’t have them already and extend your drain spouts at least 4’ from your foundation. This helps direct water away from the foundation and keeps it from seeping into your basement walls. Install weeping tile. This is usually something done by a professional but having weeping tile (basically drain pipes around the foundation) installed can give any standing water around your foundation a place to run off to. Plug holes in your foundation, seal around doors and windows. Install a sump pump. Sump pumps pump any standing water or excess water out of your home. This is especially important to have if you experience flooding in your basement or are in an area prone to flooding. Insulate your pipes. If there is condensation in your basement your pipes can be the issue with constant droplets forming on the pipes and making your basement wet. Get a dehumidifier. Dehumidifiers can draw moisture out of the air thus avoiding condensation and that damp feeling that basements can have. If you’ve tried the steps above and it’s not working, or you just want some help figuring out your leaky basement issue, your local experienced plumber can help you. 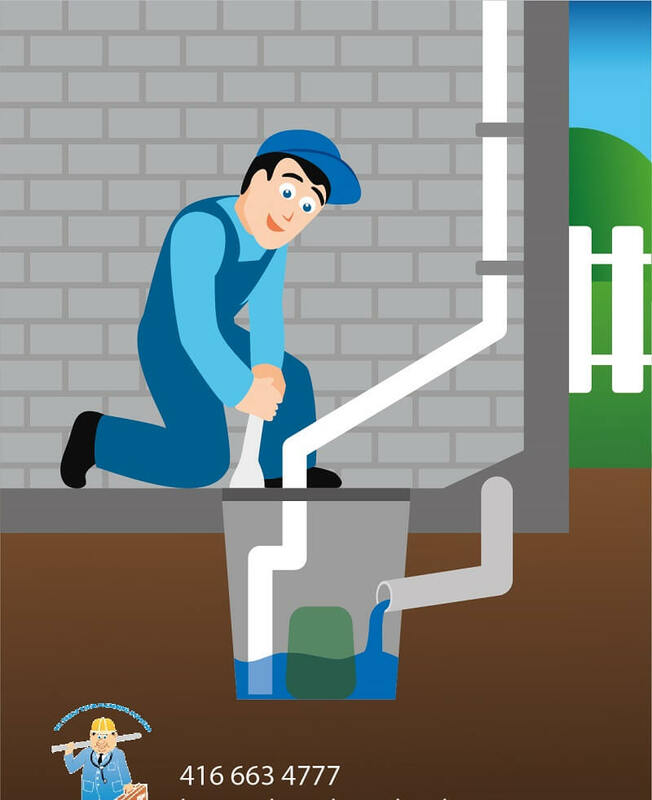 You might not think to call a plumber if there’s nothing wrong with your pipes, but plumbers are experts at all things water related, especially the plumbers at Dr. Pipe Drain and Plumbing. These professionals are fully insured and licensed in Toronto and are always happy to help you find solutions to your issues. They have an excellent track record and come highly recommended. They are experts at handling all your clogged drain problems.